Anew Hotel Hluhluwe & Safaris - Hluhluwe Accommodation. The hotel offers a wide variety of guest rooms and a 5-star self-catering safari lodge for a true bush experience. The hotel also offers packages for corporate and government guests with a wide range of intimate conferencing venues in the Zululand area. 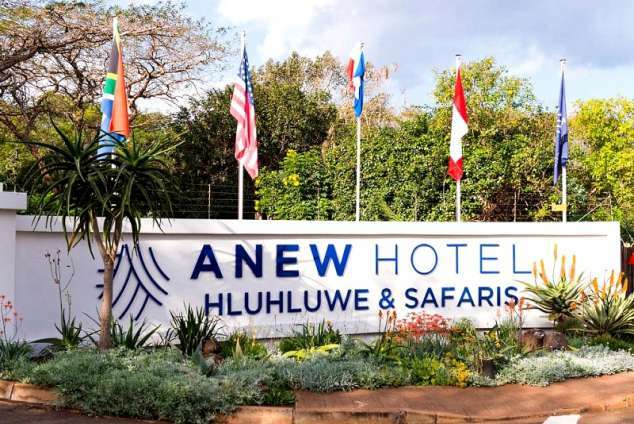 Anew Hotel Hluhluwe & Safaris offers four fully equipped conference venues with the largest venue seating up to 180 people. A variety of conference and wedding packages are available to suit your requirements. Our banqueting team is here to assist you to ensure that your event is a successful one. The Idyllic African centrepiece is nestled between the Hluhluwe Game Reserve – home to the Big Five, and the Greater St. Lucia Wetland Park, a world heritage site. Here you will experience the wild nature of Africa, rejoice in the luxury and revel in the friendly warmth of one of Africa’s most welcoming hotels. 1008 page views since 08 Mar, 2018.